Next in the Classic Gear series that first appeared in The Great Outdoors last year: boot wax! 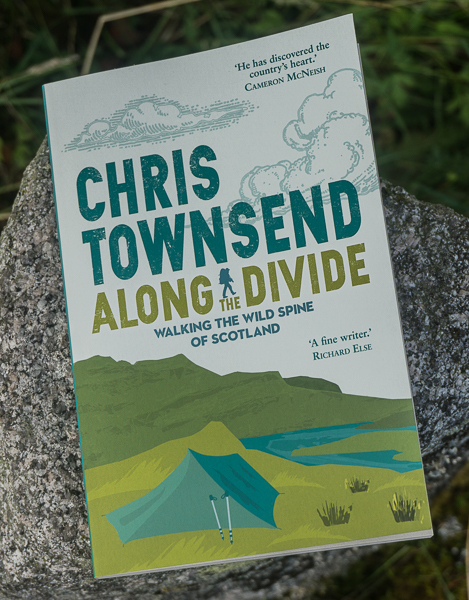 Forty years ago a young hillwalker from Kent changed the way we treat walking boots forever. Until then the products available were designed to soften as well as waterproof leather. This was fine for heavy stiff mountaineering boots but made lighter walking boots too soft so they no longer supported the feet. Unhappy with this and being the inventive type Nick Brown came up with his own far superior product, the first non-softening waterproofing wax for leather boots. Others were soon interested and Nick began producing his wax commercially. Nick’s wax became Nikwax. Back then in 1977 there was no factory or production unit. 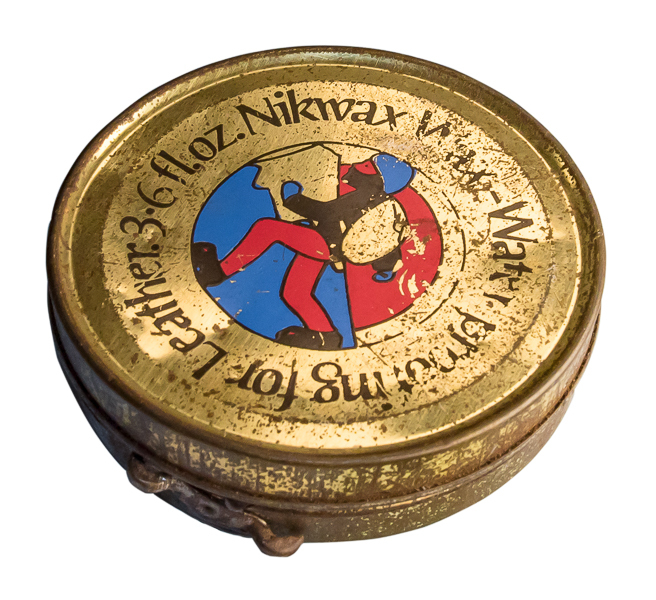 The first Nikwax was made in a flat using a tea urn, Primus stove and materials from a hardware store. There was no sales team or marketing department either. Nick sold his wax directly, driving round Britain in a van and then round Europe via Inter Rail. The wax was poured into tins with lids silkscreened by Nick. To persuade retailers to stock this new wax he offered to put the shops name on the tin. 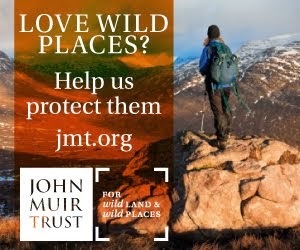 Back then I was working in the YHA Adventure shop in Manchester and I remember those tins with YHA in big letters on the front. Whilst Nikwax in tins was around for decades this began to change in 2001 when Nick Brown developed a sponge applicator that fitted on the end of a tube. This meant Nikwax in a cream form could be applied from a tube, which was less messy and more efficient. Soon this was became the norm and the tins disappeared. No more rubbing the wax in with your fingers – the sponge did that for you. 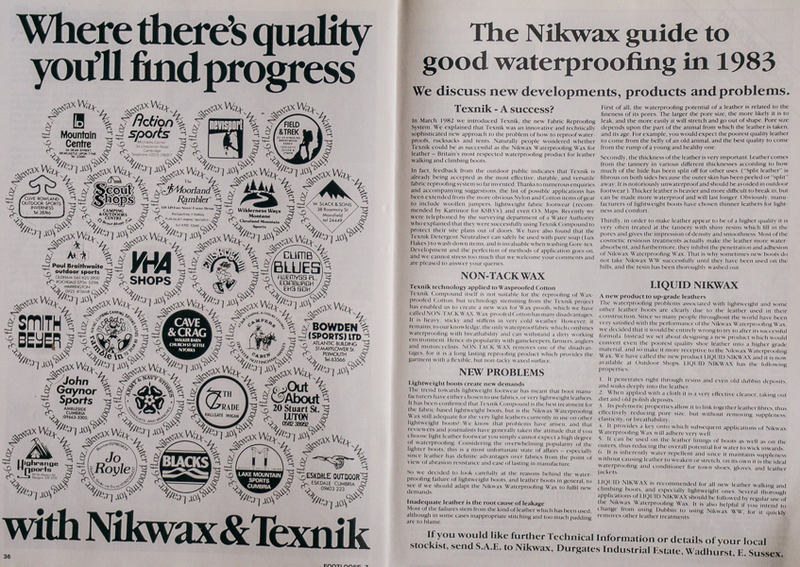 Nikwax quickly became a big international success and Nick Brown turned his attention to outdoor clothing. Concerned about ozone depletion and aerosol use he wanted to find an environmentally-friendly way to make garments waterproof rather than spraying them with environmentally-damaging chemicals. Nikwax has maintained this green approach ever since, never using aerosols or PFCs, and has always campaigned for others to do the same. 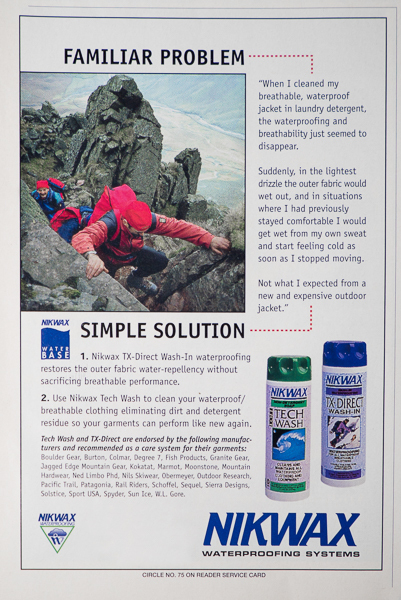 What Nick came up with was another first, a water-based product with no harmful solvents called Texnik. With this clothing could be reproofed in a washing machine. Teknik became TX.10 then TX.Direct and a whole range of wash-in products for different types of clothing. There was a spin-off too, called Paramo, but that’s another story. Today there is a wide range of Nikwax products, all based on the original wax and on Texnik. 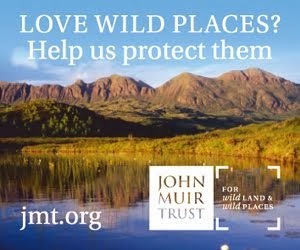 The company has won many awards over the years, becoming, in 2014, the first and so far only outdoor company to win the Queen’s Award for Sustainable Development. Nikwax received a Special TGO Award for Sustainability in the 2016 TGO Awards. 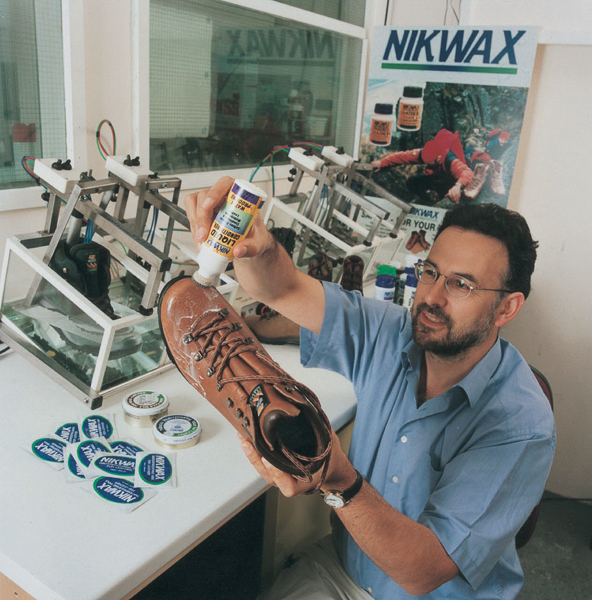 Forty years on from Nick Brown mixing wax in his flat Nikwax is still helping walkers keep dry, prolonging the life of their footwear and clothing, and working to protect the environment.